Mr. Matthew T. Hovey, who is currently a resident of the Borough of Pottstown, moved to Montgomery County approximately ten years ago from Luzerne County. Mr. Hovey is an alumnus of Moravian College in Bethlehem, Pennsylvania, where he earned his Bachelor of Arts. He majored there in political science and minored in history. While at Moravian, the student body first elected him treasurer, then president, of the student government, and he served as captain of the ice hockey team. His scholastic memberships also included the Pi Sigma Alpha Honor Society (political science) and Phi Alpha Theta Honor Society (history). Mr. Hovey attended Villanova University School of Law immediately following his graduation from Moravian College, where he earned his Juris Doctorate (J.D.). While at Villanova’s School of Law, he earned his way onto the prestigious Law Review. The Law Review later published his article which predicted how the United States Supreme Court would resolve a case focused on a law which criminalized identity theft by undocumented immigrants. While at Villanova’s School of Law, Mr. Hovey interned both with Federal District Judge James M. Munley of the United States District Court for the Middle District of Pennsylvania, and also with the Litigation, Civil Rights, and Governmental Department for the legal department for the School District of Philadelphia. Mr. Hovey joined Wolf Baldwin and Associates in 2013 after working for several years for a Berks County based firm. Prior to joining our firm, he focused his practice primarily on family law and general legal matters. His practice now focuses primarily on municipal law and civil litigation. Mr. Hovey provides legal support to our municipal clients located throughout Montgomery County and Chester County. He also enjoys several of his own municipal appointments. His municipal practice allows him to deal with legal matters related to law enforcement, zoning and land development, property maintenance, nuisance, and taxation. Mr. Hovey’s legal career thus far granted him the opportunity to litigate matters and practice in both state court and federal court, including in twelve different counties as well as the federal District Court for the Eastern District of Pennsylvania. Additionally, he both prosecuted and defended more than seven appeals combined before both Pennsylvania’s Superior Court and Commonwealth Court. Mr. Hovey enjoys complex and intellectual subject matters. 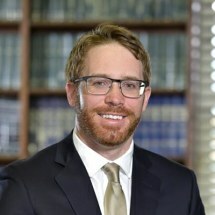 His practice lets him confront legal issues ranging from Second Amendment rights to egg donor contracts to international child abduction to drafting of municipal ordinances and regulations to employment discrimination to land use appeals. Mr. Hovey enjoys the varied nature of the law. He is an avid reader and enjoys writing. He published numerous legal articles during his career, including timely articles related to constitutional issues associated with both the First Amendment and Second Amendment. Mr. Hovey is currently the President of the Board of Directors for the nonprofit Boyertown Area Multi Service, Inc. Multi Service operates the Center at Spring Street which offers programming for seniors and youth, as well as runs countless programs for those in need within its service area including case management, tax preparation, emergency financial assistance, speech therapy, and assistance with applying for subsidies such as heating assistance. Multi Service provides Meals on Wheels throughout Montgomery County and Berks County. Mr. Hovey also serves on the Board of Director for the Foundation for Pottstown Parks and Recreation, which is a nonprofit which fosters programming within the Pottstown area and raises money to enhance Pottstown’s park system. Mr. Hovey is an avid golfer and passionate photographer. He loves sports and is also ready to debate any hot topic in the sports landscape.